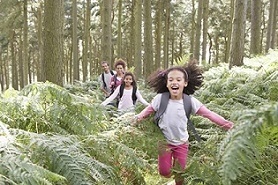 You make responsible decisions each day that consider the health of our environment and the future of our children. Why should choosing your investment options be any different? We specialize in exciting socially responsible alternatives in investing that support a healthy planet and a prosperous financial future. We’ve paid close attention to the lifestyle choices of our clients and we strongly believe that your investment options should align with your unique principles. Through comprehensive and continuous research, we’ve unearthed a variety of investment options that consider a range of environmental, social and corporate governance factors without compromising opportunity or performance. Today’s market offers no shortage of creative investment options that keep your ethics at the forefront and we look forward to incorporating this gratifying strategy into your financial plan.